Open Road Films has released an action-packed new Sleepless clip, which you can watch in the player below. The action thriller stars Academy Award winner Jamie Foxx (The Amazing Spider-Man 2, Django Unchained) and Golden Globe nominee Michelle Monaghan (Source Code, True Detective). 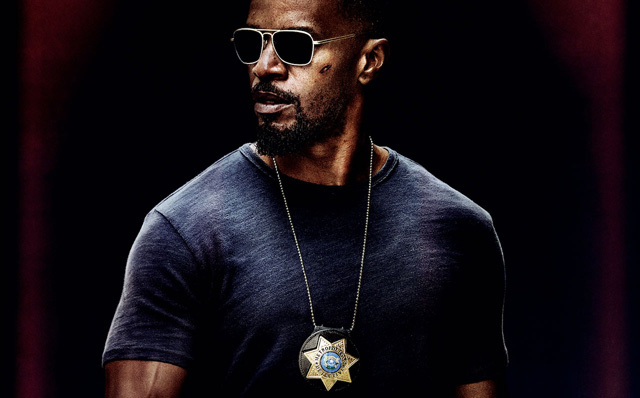 Directed by Baran Bo Odar, Sleepless stars Foxx as undercover Las Vegas police officer Vincent Downs, who is caught in a high stakes web of corrupt cops and the mob-controlled casino underground. When a heist goes wrong, a crew of homicidal gangsters kidnaps Downs’ teenage son. In one sleepless night he will have to rescue his son, evade an internal affairs investigation and bring the kidnappers to justice. 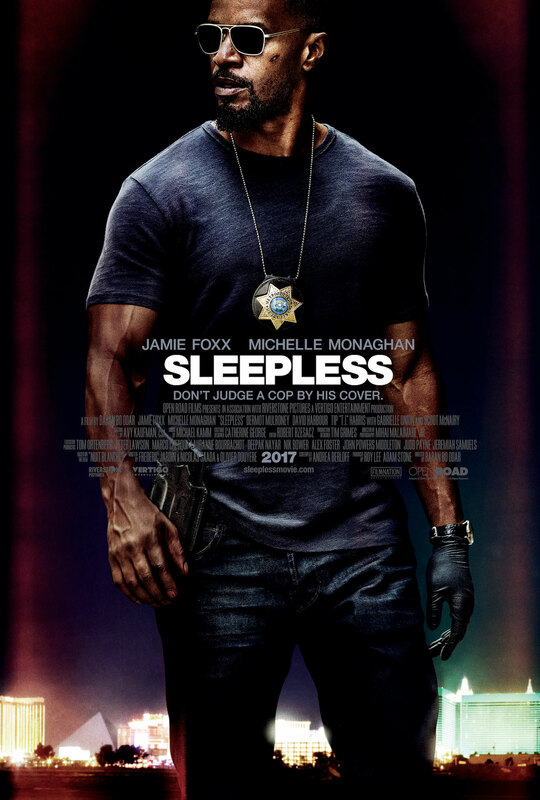 Sleepless also stars Gabrielle Union (Top Five, Bad Boys II), rapper T.I. (Ant-Man), Dermot Mulroney (The Grey, Mozart in the Jungle), Scoot McNairy (Batman Vs Superman, Argo) and David Harbour (Suicide Squad, End Of Watch). The January 13, 2017 release was written by Andrea Berloff (World Trade Center, Straight Outta Compton) and serves as a remake of the French film Nuit Blanche, directed by Frédéric Jardin, and written by Jardin, Olivier Fox and Nicolas Saada. Executive Producers include John Powers Middleton, Alex Foster, Tom Ortenberg, Peter Lawson, Lauranne Bourrachot, Marco Cherqui and Jeremiah Samuel. What do you think of the Sleepless clip? Let us know in the comments below.